A liberal arts education is something much more than the cultivation of technological expertise. It is also the cultivation of that social sensitivity which brings the warmth and color to life. It is the explicit profession that we are social by nature, and incomplete without others. It is the expression of respect for others, manifesting itself in generosity, not the selfishness which enslaves us,” said Rev. Monsignor James O. Barta (’52) in his 1988 inaugural address as president of Loras College. For many years, Monsignor Barta devoted his efforts both professionally and spiritually to Loras College as well as to his community and church. Ordained in 1955, he began teaching at Loras as an assistant professor of psychology in 1961. He became an associate professor in 1969 and was named full professor in 1974. Monsignor Barta also served as academic dean in 1977, and finally president. In 1994, he was appointed regional vicar for the Archdiocese of Dubuque and vicar general in 1999. He has since retired the position. Today, Monsignor Barta lives in Dubuque and continues to support the institutions to which he has devoted his life. He currently serves on the Loras College Board of Regents as vice chancellor. His generous service and guidance continue to impact both Loras and all those associated with the College. In honor of Monsignor Barta’s many years of commitment, an anonymous donor has offered the Monsignor Barta Challenge for the Inspiring Lives & Leadership Campaign. The challenge will match dollar for dollar every new or increased gift. Not only will your gift support students who have demonstrated a disposition for serving community and church prior to and while attending Loras College, your contribution will also be doubled thanks to the generous support of this challenge. 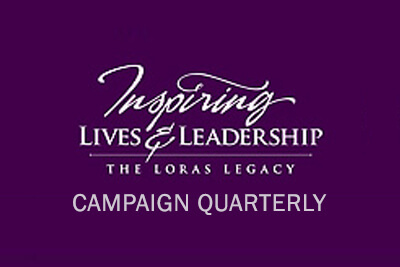 The $100 million campaign is the largest in Loras history. It is essential for continuing a community that values a Catholic liberal arts education, and also for sustaining this legacy into the future.  The campaign’s impact to date can be seen through the increase of student aid and internships, programs, technology upgrades, capital improvements and services offered by the College. The Monsignor Barta Challenge is an exceptional opportunity to make a lasting impact on the lives of students at Loras and the College itself. Every contribution reflects on the legacy of Monsignor Barta, as well as your own legacy through your choice to support the Loras, mission and values. As Monsignor Barta said in his presidential address, the Loras liberal arts education calls us to form a vital community of support. To participate in the challenge log on to alumni.loras.edu/giving. For questions contact Cayla Schneider at cayla. schneider@loras.edu or 563.588. 7328.